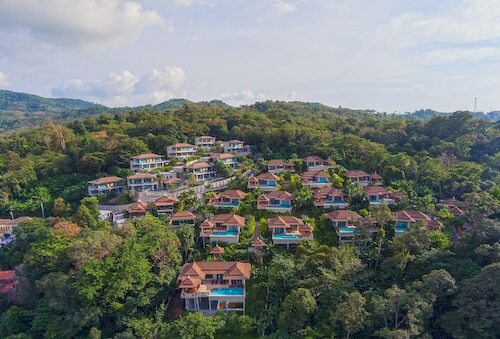 Situated in a provincial park, this luxury aparthotel is within 1 mi (2 km) of Karon Beach, Karon Market, and Karon Temple. Dino Park Mini Golf and Kata Porpeang Market are also within 3 mi (5 km). 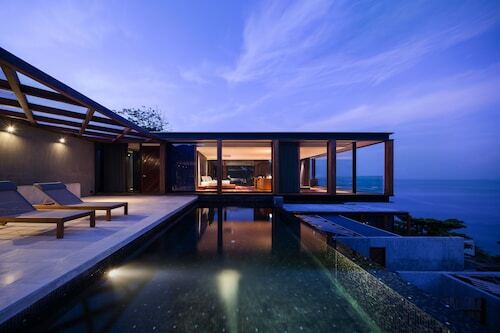 Beachfront villas are situated on 32 lush acres on top of Cape Panwa, with panoramic views of the Andaman Sea. 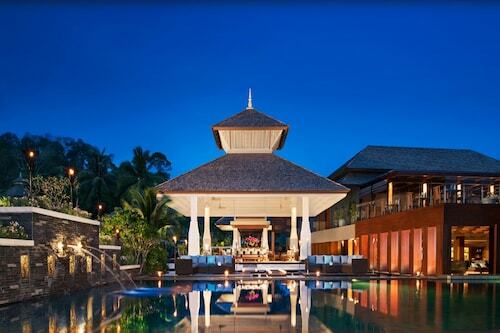 Guests can sail to 8 islands in the Phuket peninsula within 40 minutes. 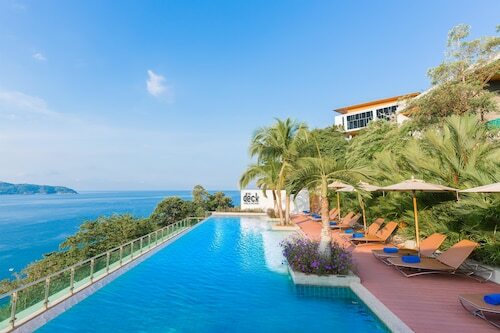 Phuket Aquarium is within walking distance. 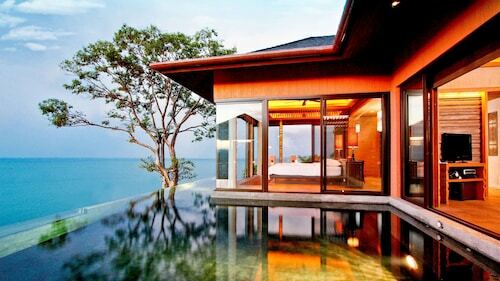 Situated in Maprao Island, this luxury villa is 0.2 mi (0.3 km) from Laem Hin Pier and 3.1 mi (4.9 km) from Premium Outlet Phuket. 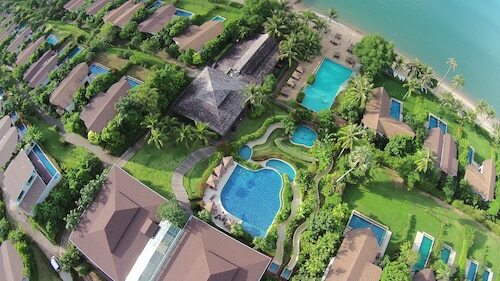 Boat Lagoon Marina and Royal Phuket Marina are also within 6 mi (10 km). 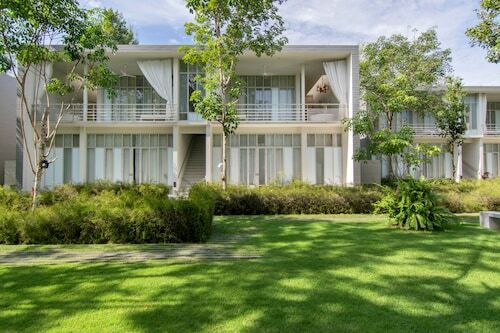 Situated near the beach, this luxury villa is 1.6 mi (2.6 km) from Bang Tao Beach and 1.8 mi (3 km) from Laguna Phuket Golf Club. 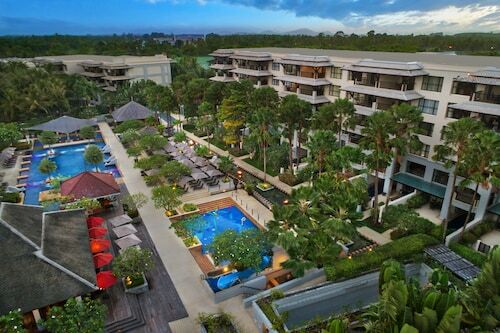 Layan Beach and Boat Avenue Mall Phuket are also within 3 mi (5 km). 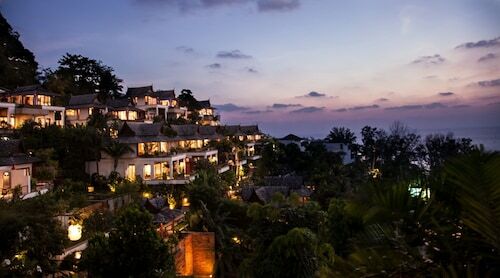 Situated near the airport, this aparthotel is within 1 mi (2 km) of Turtle Village and Mai Khao Beach. 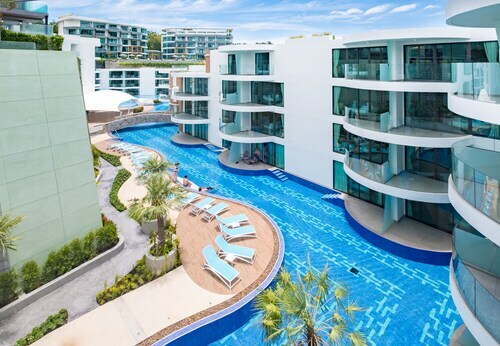 Splash Jungle Water Park and Sarasin Bridge are also within 6 mi (10 km). 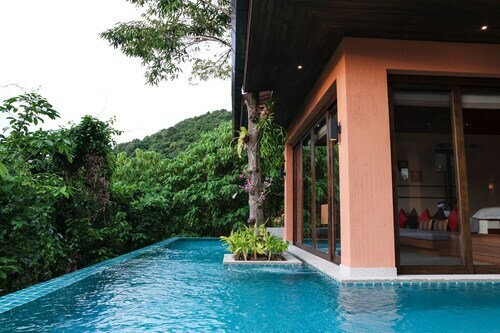 Located in Mai Khao, this beachfront villa is in a national park and within 1 mi (2 km) of Turtle Village and Mai Khao Beach. Yacht Haven Marina and Sarasin Bridge are also within 6 mi (10 km). 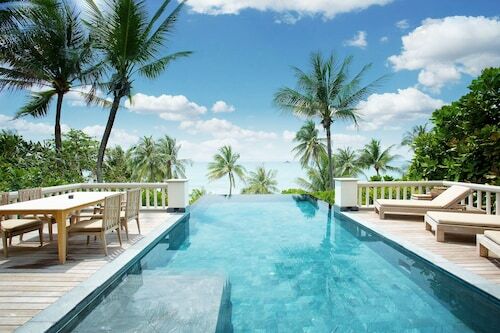 This family-friendly Mai Khao villa is located in the business district, within a 10-minute walk of Turtle Village and Mai Khao Beach. 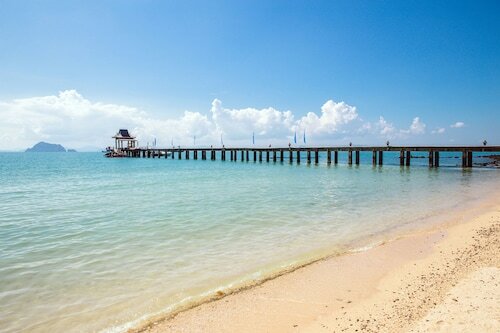 Sarasin Bridge and Yacht Haven Marina are also within 6 mi (10 km). 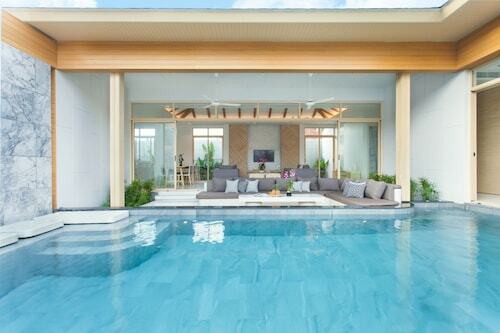 Nestled on the beach, this Choeng Thale villa is 1.5 mi (2.4 km) from Nai Thon Beach and 2.2 mi (3.6 km) from Bang Tao Beach. 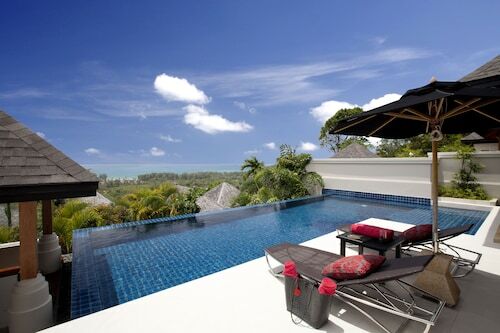 Layan Beach is 2 mi (3.3 km) away. 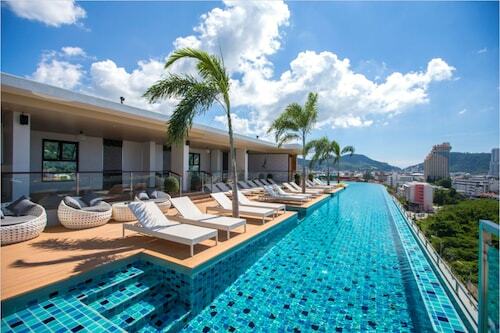 This family-friendly Patong aparthotel is located near the beach, within 2 mi (3 km) of Tri Trang Beach and Patong Beach. Karon Beach and Kata Beach are also within 9 mi (15 km). 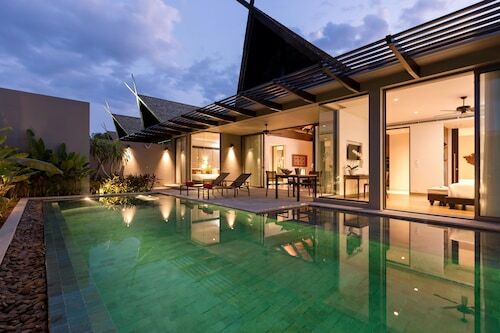 Situated near the beach, this luxury villa is within a 15-minute walk of Kata Beach and Kata Porpeang Market. 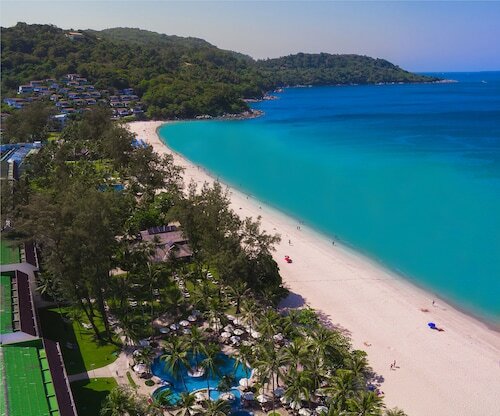 Kata Noi Beach and Karon Beach are also within 2 mi (3 km). 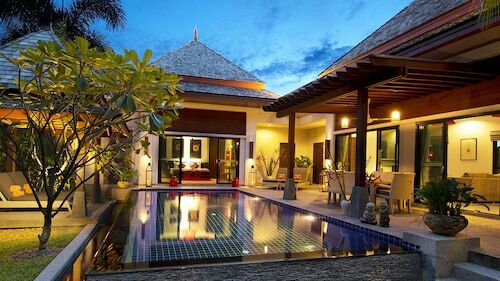 Nestled on the beach, this Ratsada aparthotel is 1.9 mi (3 km) from Koh Sirey Temple and 2.8 mi (4.6 km) from Ratsada Pier. 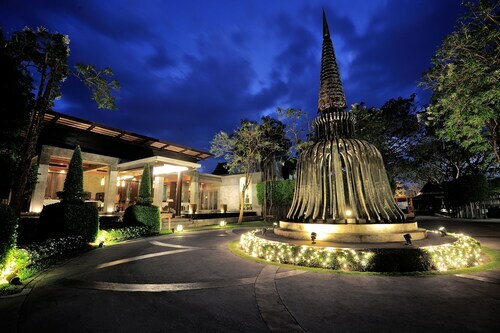 Suan Luang Park and Khao Rang Hill View Point are also within 6 mi (10 km).